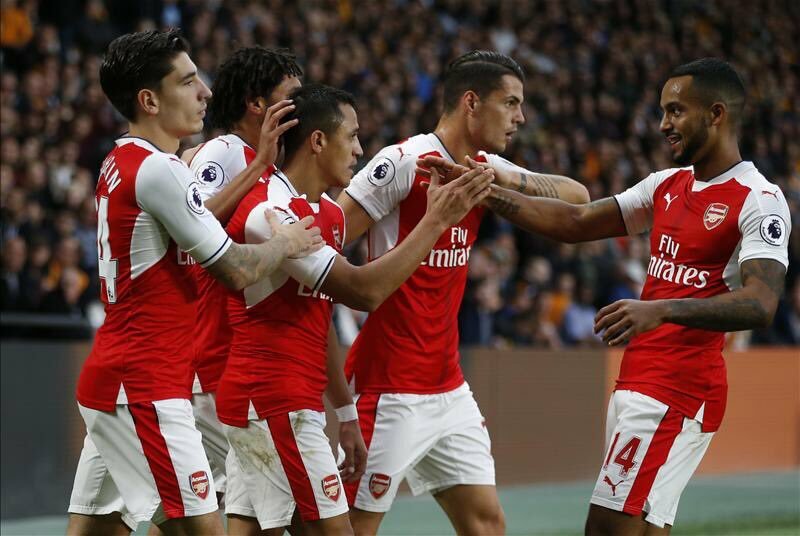 Alexis Sanchez scored a brace as Arsenal defeated Hull City 4-1 at the KC Stadium. It was an easy win for the Gunners but had moments that threatened to start a revival for the home team. Nigeria’s Alex Iwobi thougt he had put the Gunners ahead in the 1st half but the goal was judged to have deflected off Alexis Sanchez. Poor Iwobi but Happy Arsenal. The Gunners failed to double their advantage just before the break. Coquelin was denied his 1st Arsenal goal but the hull defender saw red for the deliberate hand ball. Alexis stepped up and missed the resulting penalty. Has he ever scored one for Arsenal? Why didn’t Cazorla take the kick? I think the Spaniard had him as his FPL captain. No further explanation but Wenger will need more. In the 2nd half Iwobi was at it again. A beautiful assist was chipped in by Theo Walcott to make it 2-0. Hull pulled one back from the spot after Cech brought down their ganja man but Alexis restored Arsenal’s 2 goal cushion. Then came Xhaka. Boom Xhaka boom boom. How many yards was that? 35 yards? I am still checking. Hope we would see more of that. I know Wenger is not a fan of long range shots due to its conversion rate but who doesn’t love such goals. It was a good game overall. Coquelin was fine, so were Mustafi and Koscielny. Man of the match should be Alex Iwobi. Arsenal visit Nottingham Forest next. The lord is waiting. The NPFL continues this evening at 4pm. Can Rivers United pull a surprise in Bauchi? MFM will need miracles in Port Harcourt to see of reigning champions Enyimba. Enjoy. Off to Sunday service across the city.